Our urge to get out of town has always been strong. If you’re anything like us, you spend an awful lot of time daydreaming, and very little doing the actual planning. 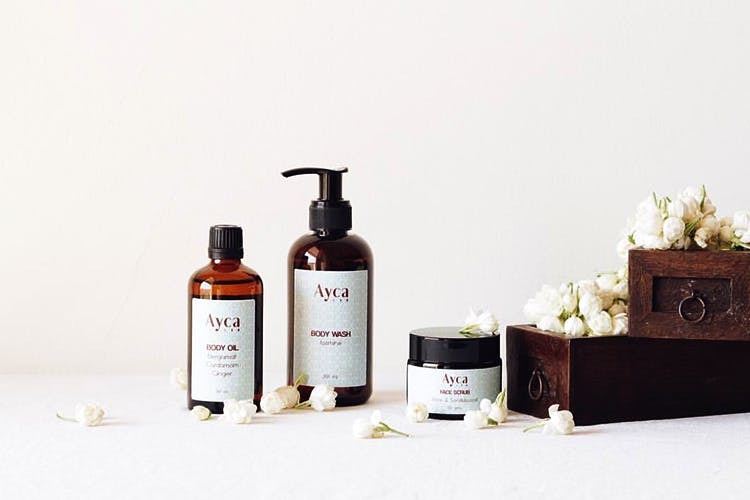 Ayca gave us a list of essential toiletries, to make sure that whether you’re hitting the beach, heading up to the mountains, or cruising in a jeep at a safari, at the very least your basic bath and body needs are covered. An incredibly soothing gel, that is a quick fix for everything from sunburns to scrapes, and smells great to boot. We’d recommend popping one of these in our Nicobar ouch pouch, for any mishaps while you’re on the road. Gel based, with fine sandalwood dust for gentle exfoliation, this is just what you need to get rid of the day’s grime. Made of beeswax, and a combination of herbs and flowers, this locks moisture in and keeps your skin hydrated and protected for the day. Just a couple drops, to keep the mosquitoes at bay. Essential oils blended into a gel base, derived from coconuts. We’re wild for anything jasmine scented, but the tea tree and peppermint is fabulous too, and instantly refreshing. For a touch of pampering, after long days in the wild. Throw all these in our Tora Dopp kit, with a water resistant lining to prevent leaks, and you’re ready to go.